Alabama Governor Bans Sheriffs From Taking Funds Meant For Prisoners' Meals Gov. Kay Ivey is moving to stop the practice, which has enabled sheriffs to pocket leftover money. Alabama Gov. 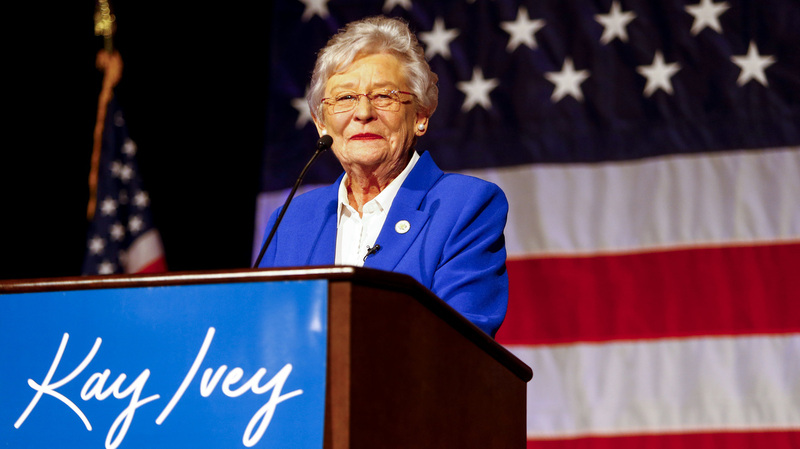 Kay Ivey is moving to ban sheriffs from pocketing funds for prisoners' meals. Alabama's governor has moved to ban sheriffs from lining their pockets with some jail food funds. Previously sheriffs could keep for themselves excess money from a food service allowance for prisoners' meals. On Tuesday Gov. Kay Ivey ordered that the money from that fund no longer go to "sheriffs personally." Instead any excess will go to a county general fund or an account established for the sheriff's official use. The governor's office noted that the state distributes money separately for food purchase and food service, and it is the food service allowance that is at issue. A practice begun in the Depression was upheld in 2008 in a ruling by then-Attorney General Troy King, who said a "sheriff may retain any surplus from the food service allowance as personal income," noting that "most of the sheriffs in the state have retained the food service allowances for personal income for years." In 2011, another attorney general, Luther Strange, contradicted King's opinion, ruling that "neither the sheriff nor the county may use the surplus for any purpose other than future expenses in feeding prisoners." Ivey's office this week rescinded the 2008 policy, and said the state should instead follow Strange's opinion. Critics said the practice had incentivized abuse of prisoners. Last year NPR's Camila Domonoske reported on a sheriff in Alabama's Etowah County. "Voters in Alabama lost their appetite for a sheriff who personally profited off hundreds of thousands of dollars meant to buy food for inmates at the Etowah County Jail. Sheriff Todd Entrekin lost his re-election campaign during the Republican primary on Tuesday," Domonoske wrote. "At a news conference in March, Entrekin confirmed that he had personally profited by hundreds of thousands of dollars by reducing costs in jail kitchens. He emphasized that it was legal, denied that inmates experienced malnutrition — while agreeing that many 'are not happy with the food they are served' — and urged the state to pass a law prohibiting sheriffs from taking the money as personal profit. Reporters also noted that Entrekin purchased a beach house for $740,000. In his news conference, Entrekin denied there was a link between his hundreds of thousands of dollars in jail-kitchen income and his property purchase, noting that his wife's income was also factored into the mortgage," Domonoske continued. Ivey says she wants to stop that and is urging lawmakers to pass legislation clarifying that sheriffs can't keep the extra jail food money. "I have changed the way these funds are handled because it is the right thing to do. The law is clear, the attorney general's opinion is clear, and now I have been clear," Ivey said. "I urge the Legislature to follow my lead and codify this policy into law during the next regular session." A previous version of this story said that the governor had banned sheriffs from retaining excess money from prisoners' food funds. The state distributes money separately for food purchase and food service; it is only the food service funds that are at issue.